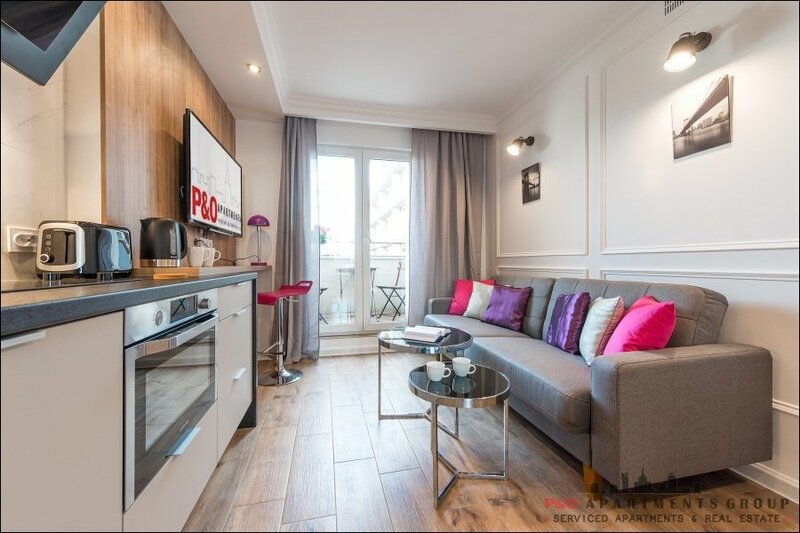 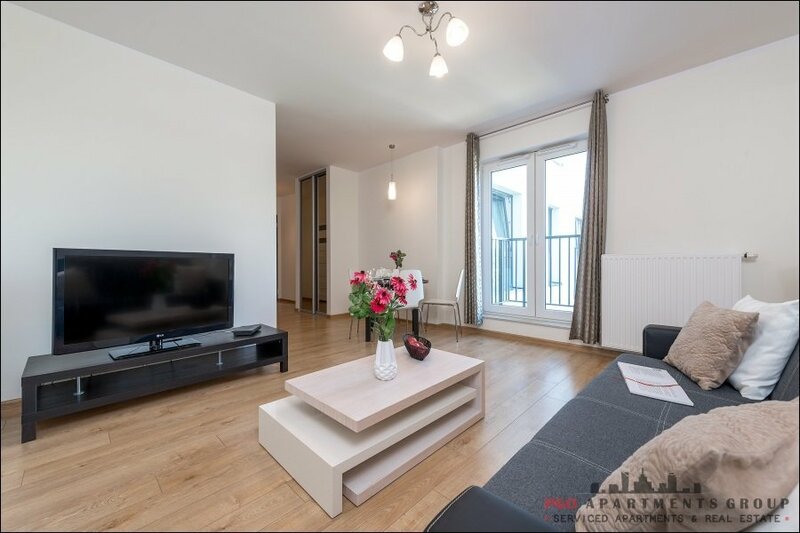 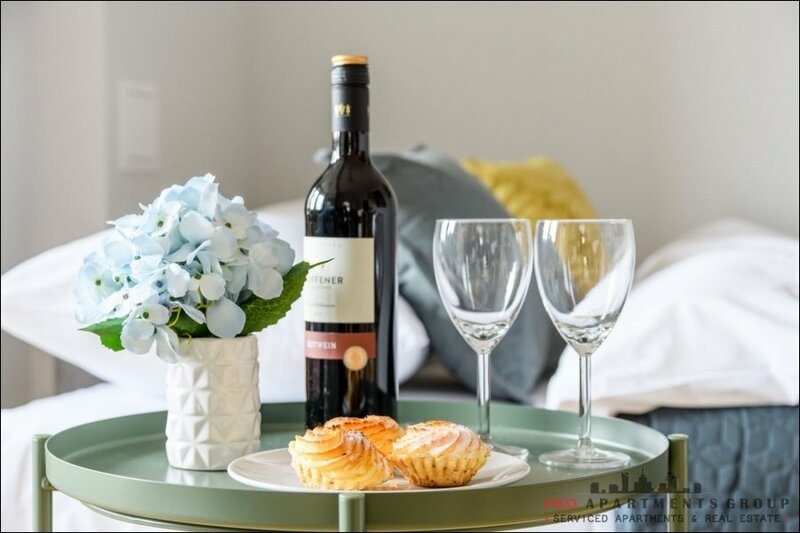 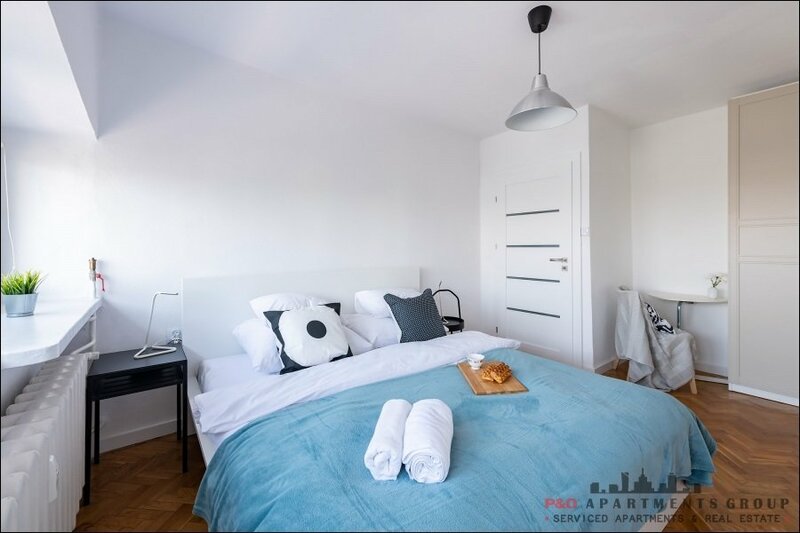 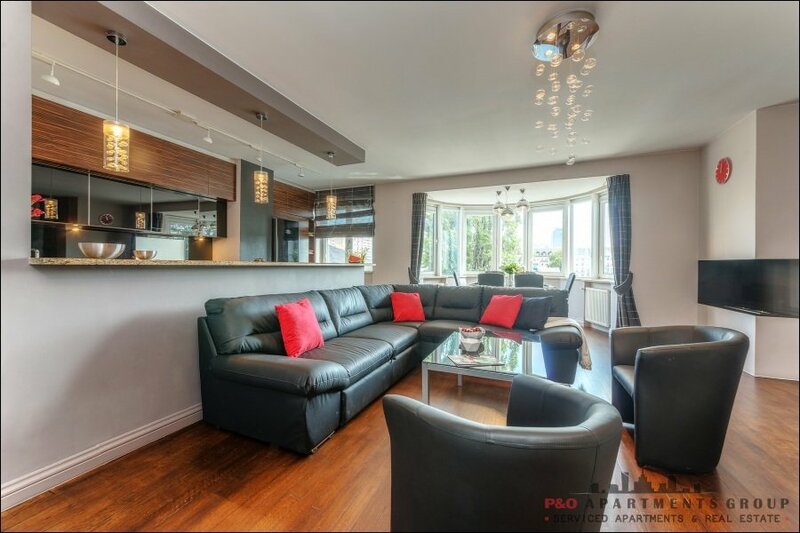 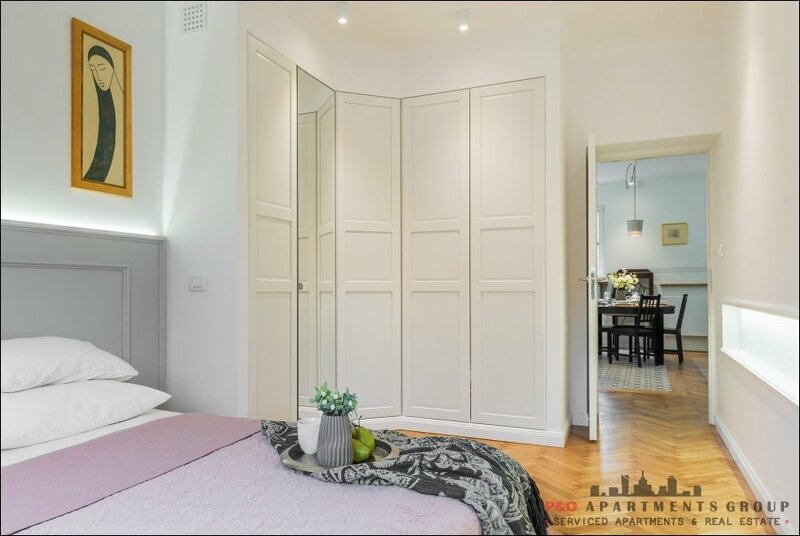 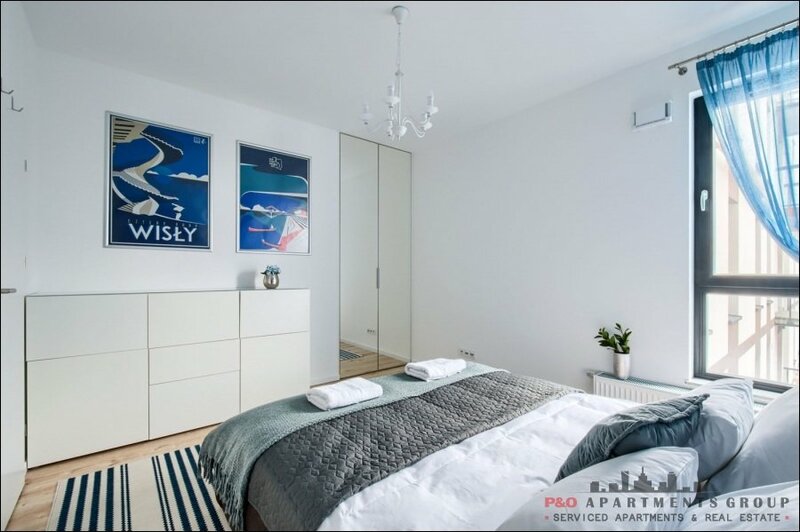 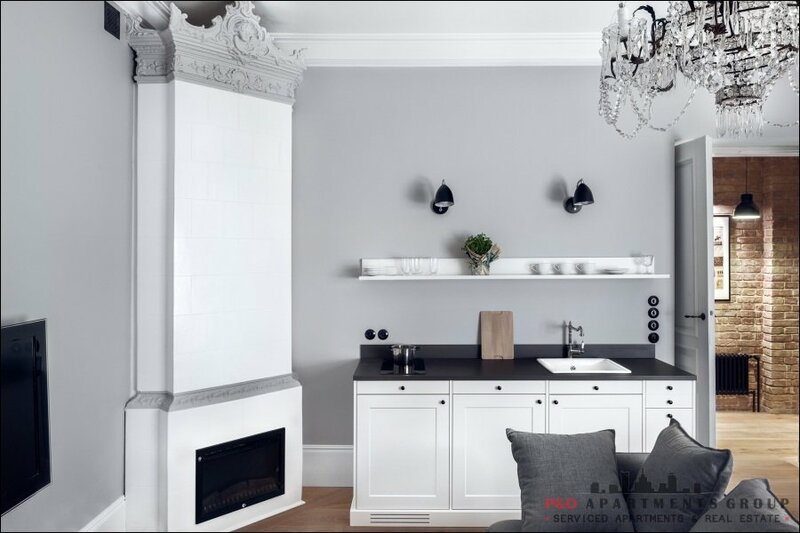 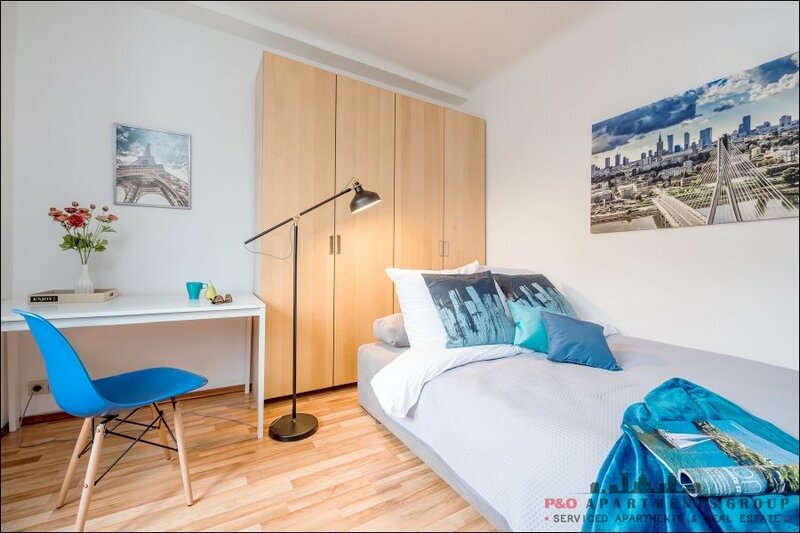 A modern studio apartment with a sleeping annex and a kitchenette, finished to a high standard, with the utmost care and attention to detail, located on the 6th floor, on the new housing estate Dom Development. 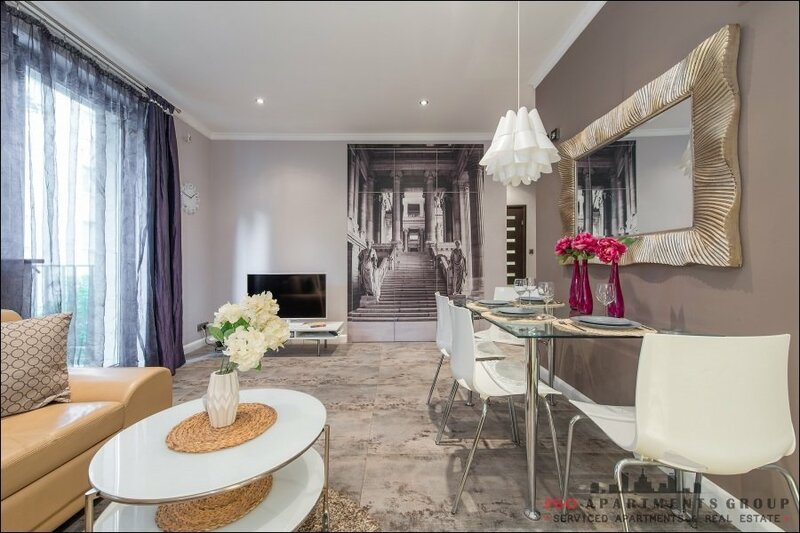 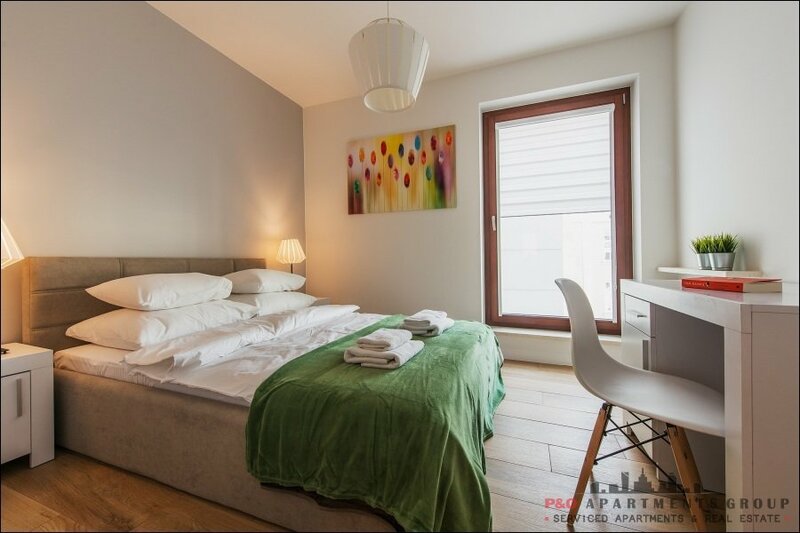 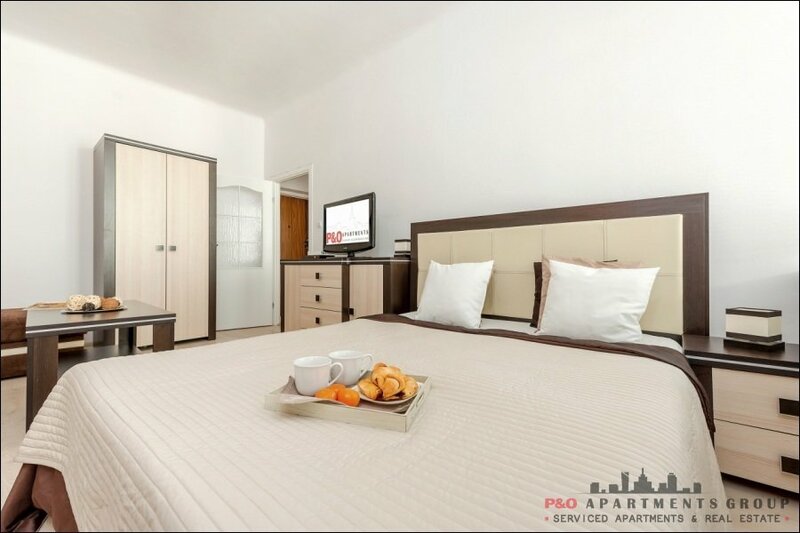 The apartment is equipped with comfortable and elegant furniture, equipment and fittings. 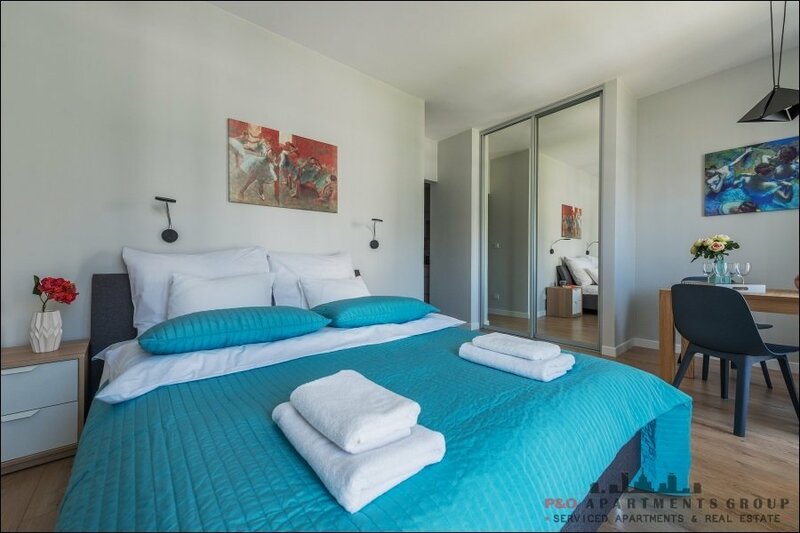 In the sleeping annex there is a double bed, in the seating area there is a double sofa bed. 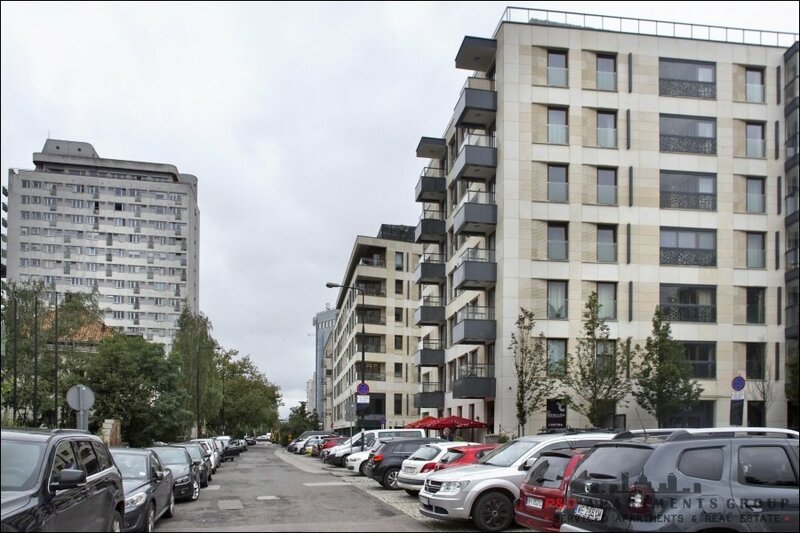 A parking space in the above-ground car park is available. 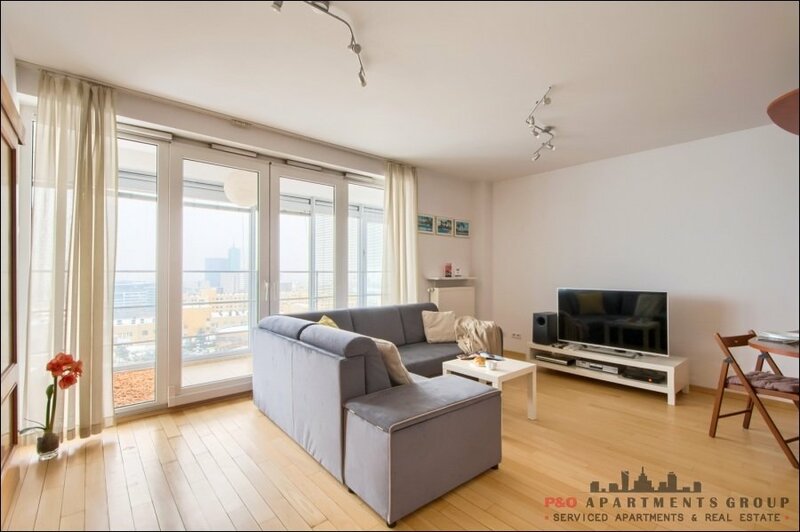 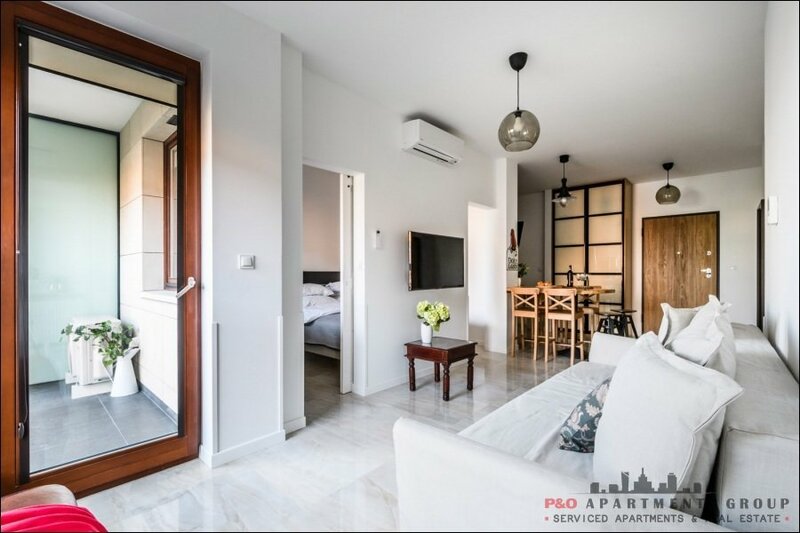 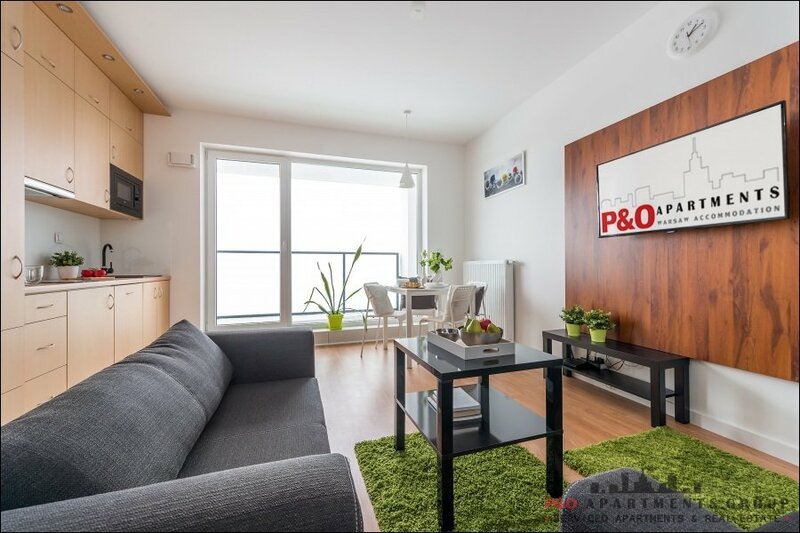 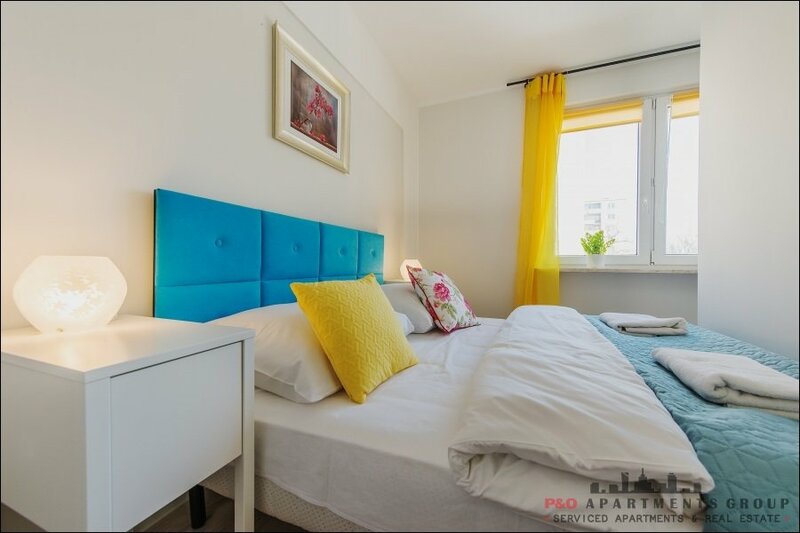 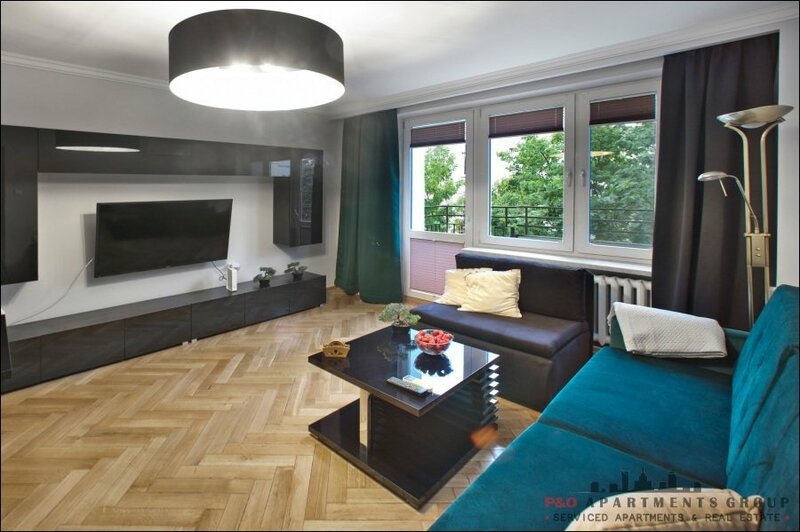 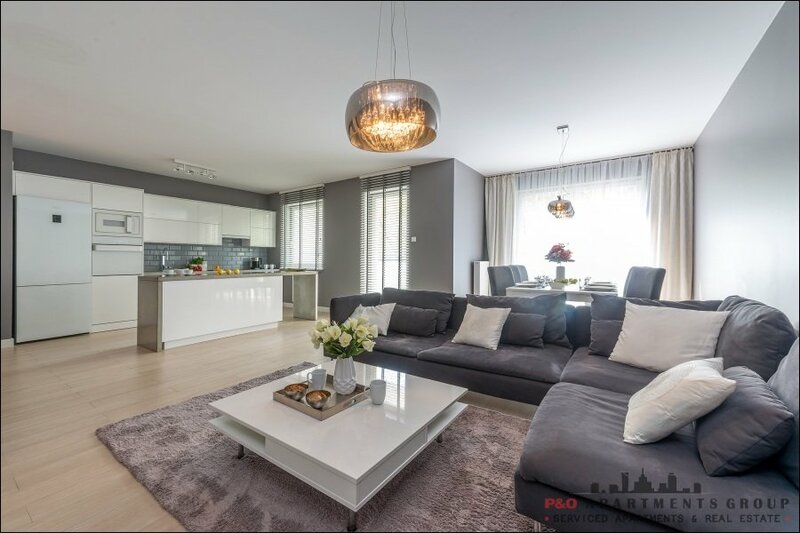 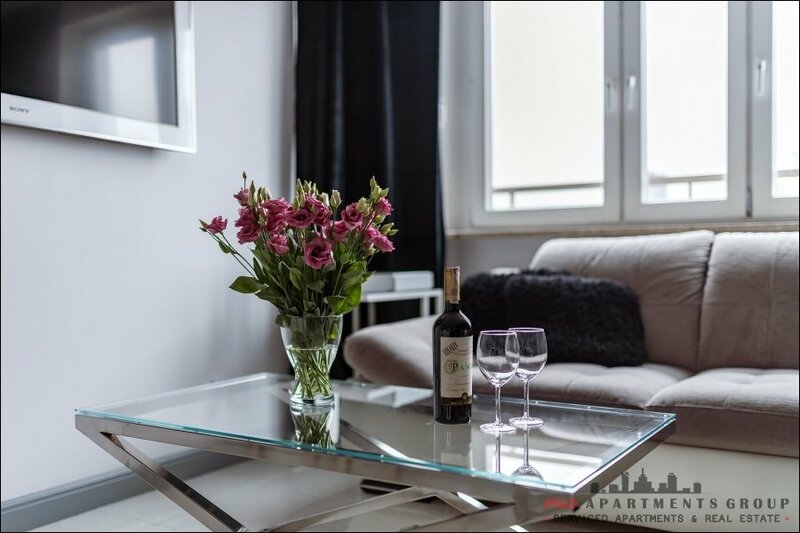 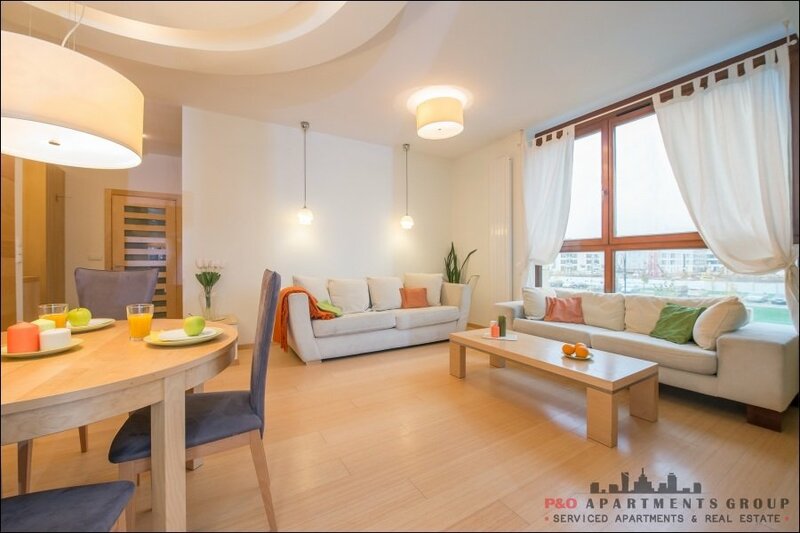 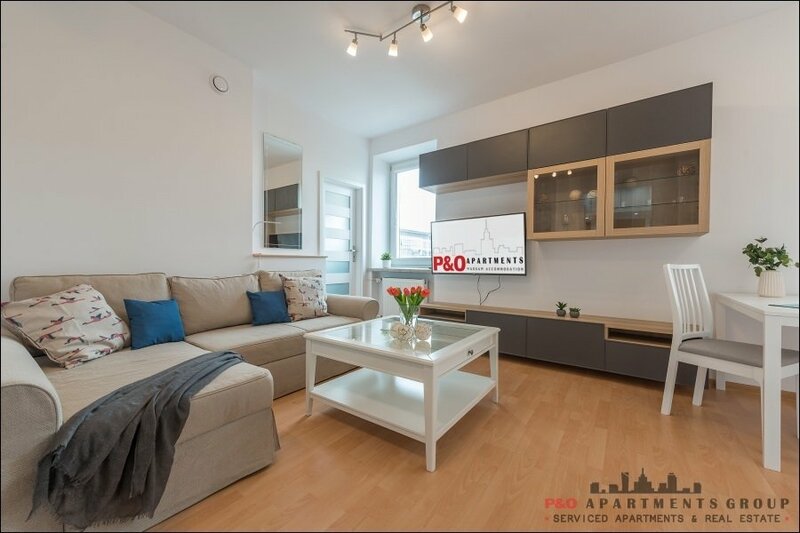 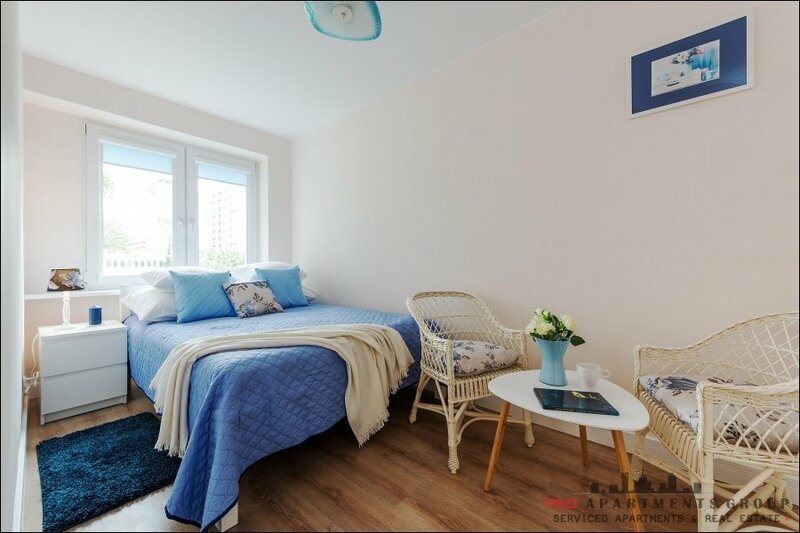 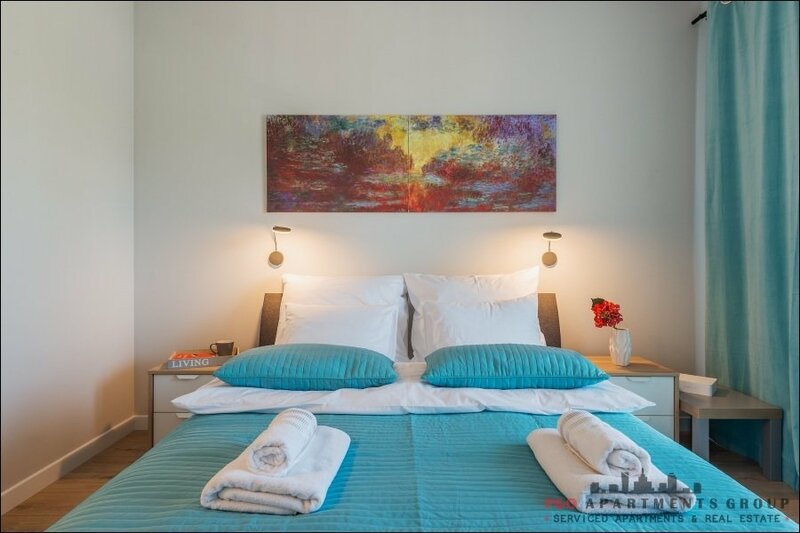 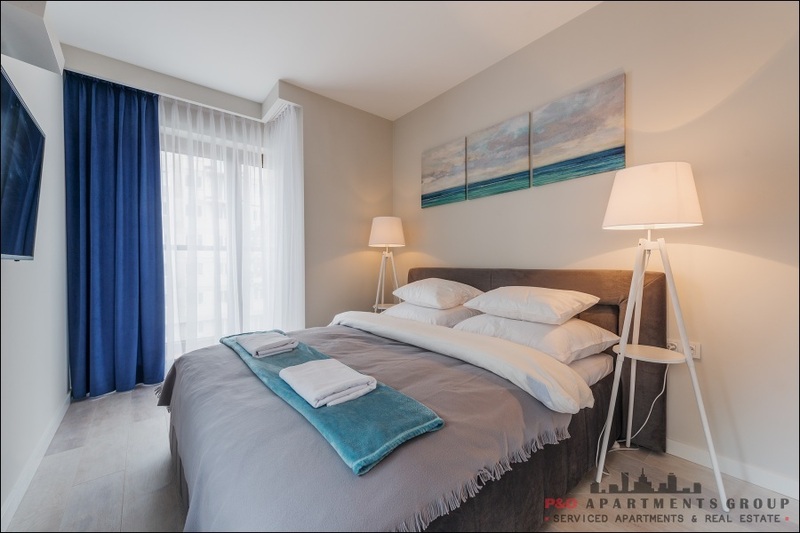 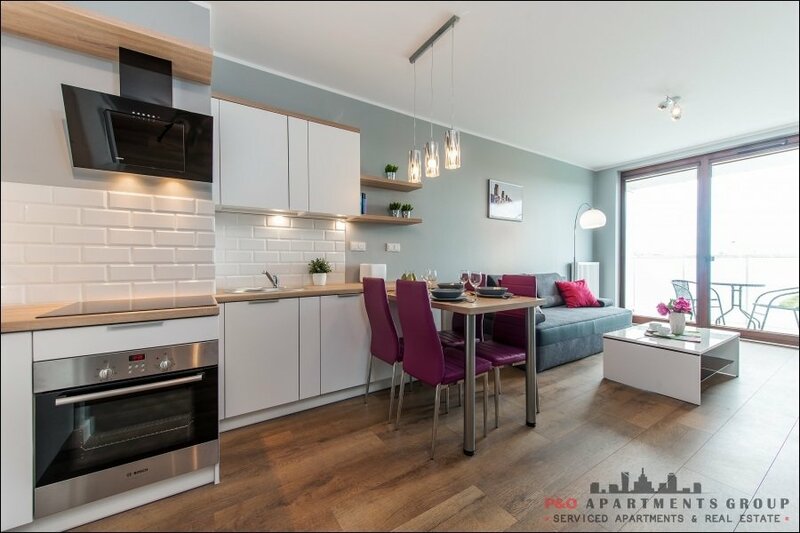 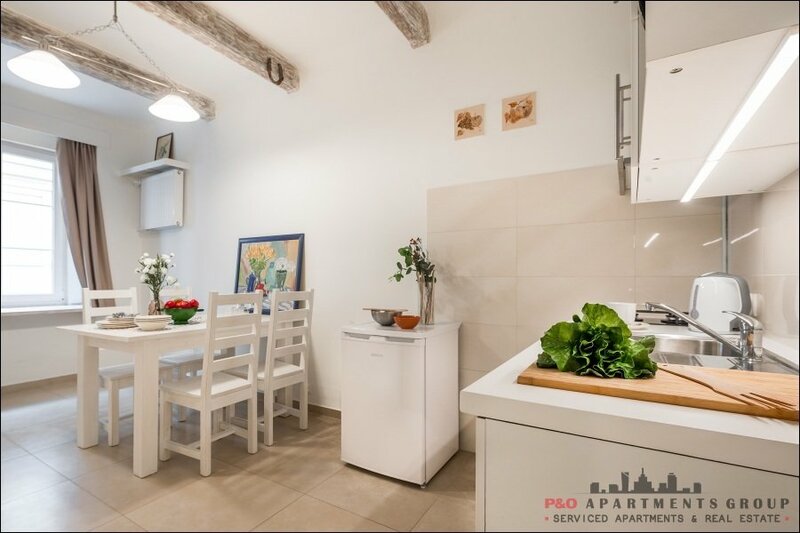 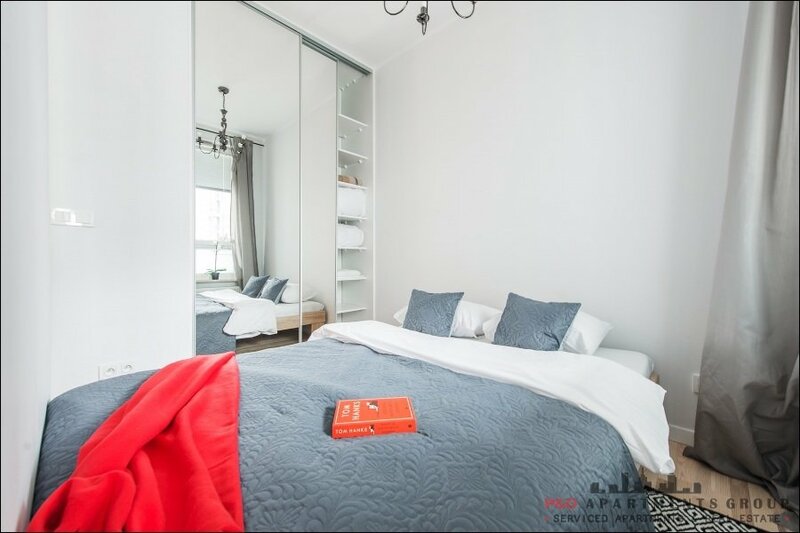 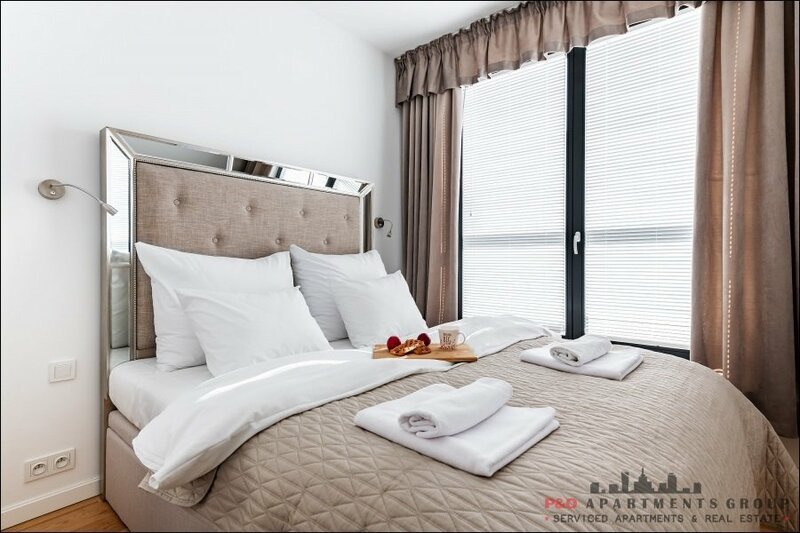 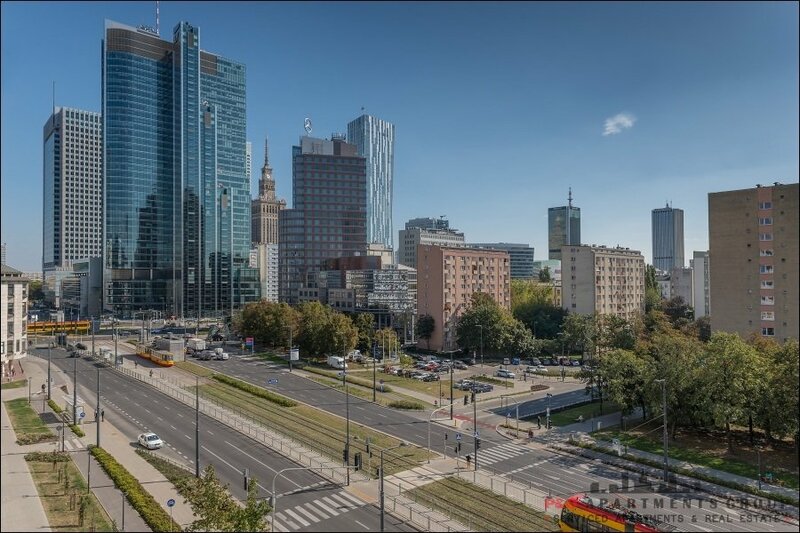 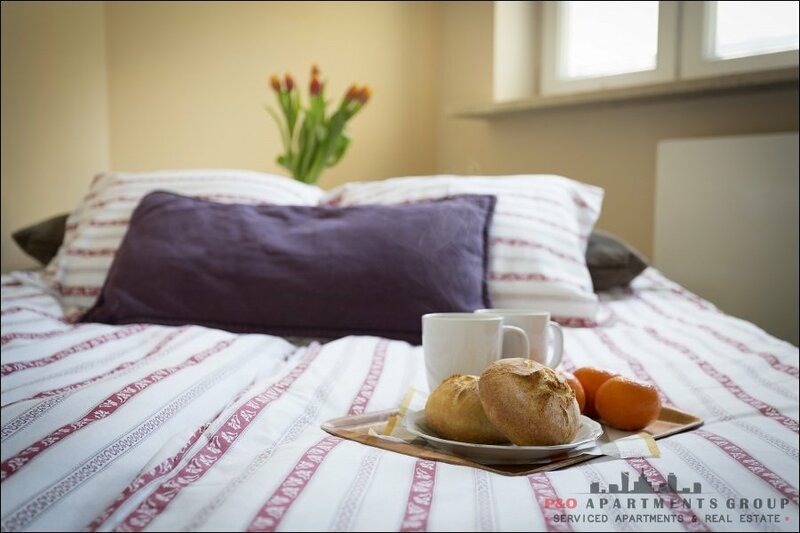 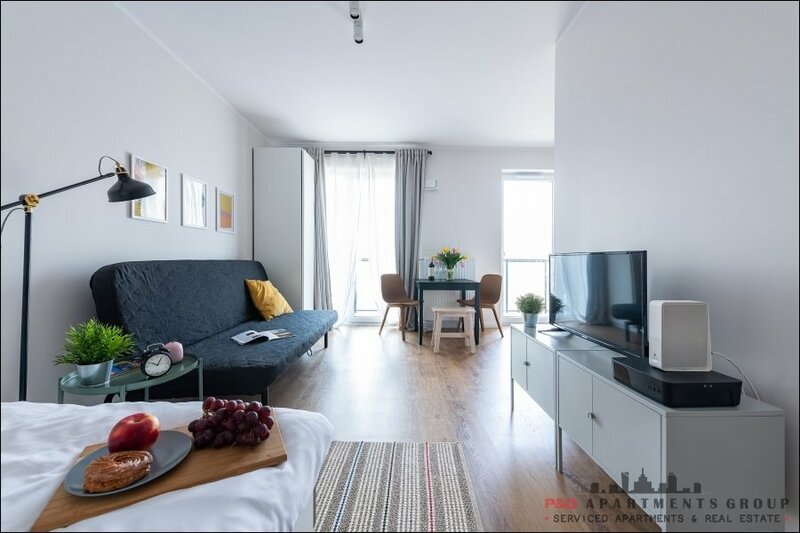 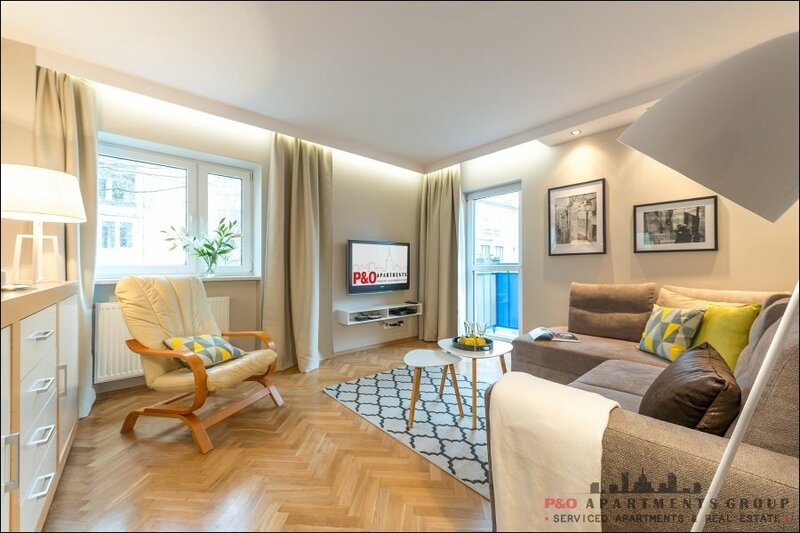 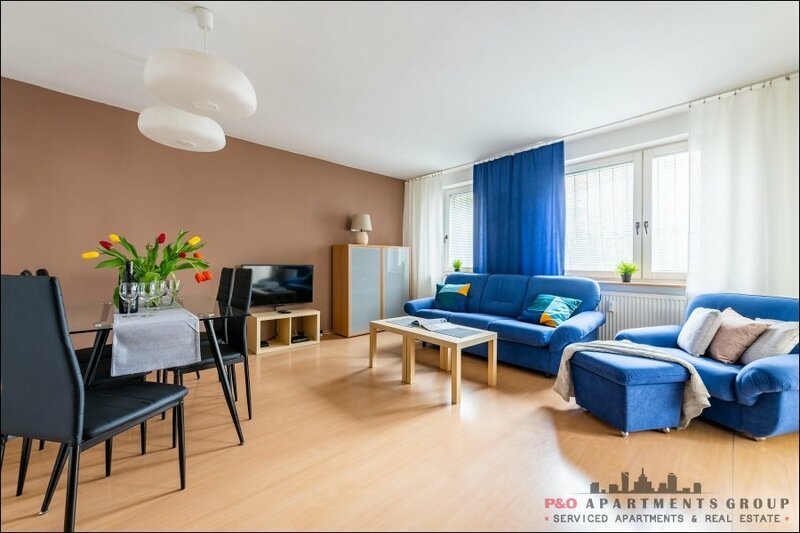 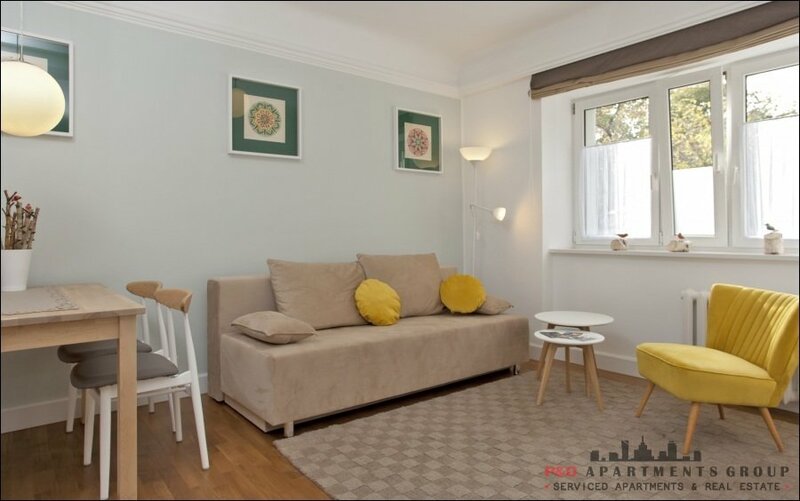 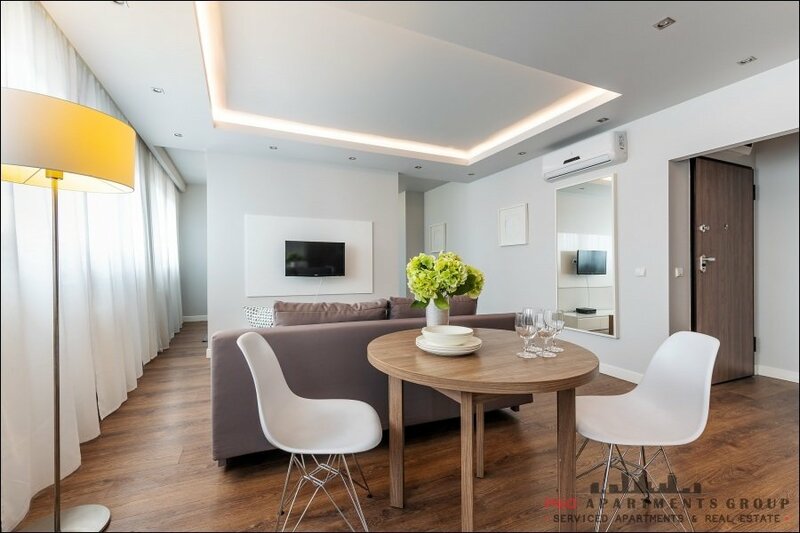 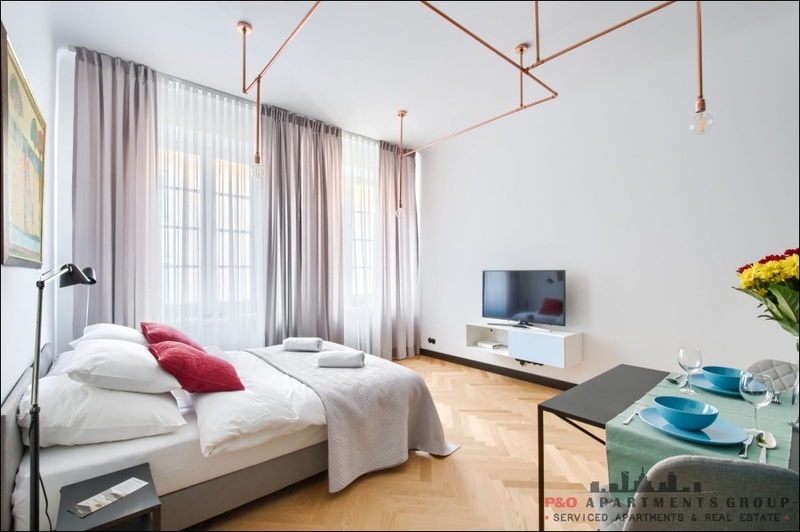 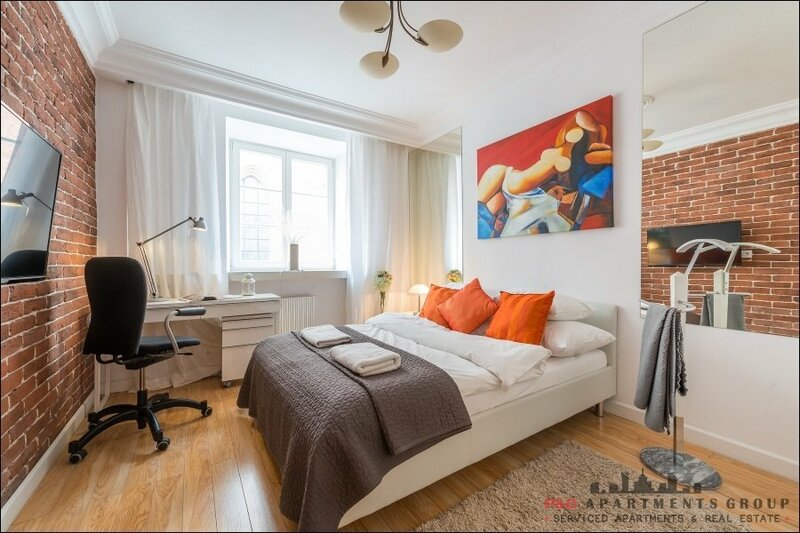 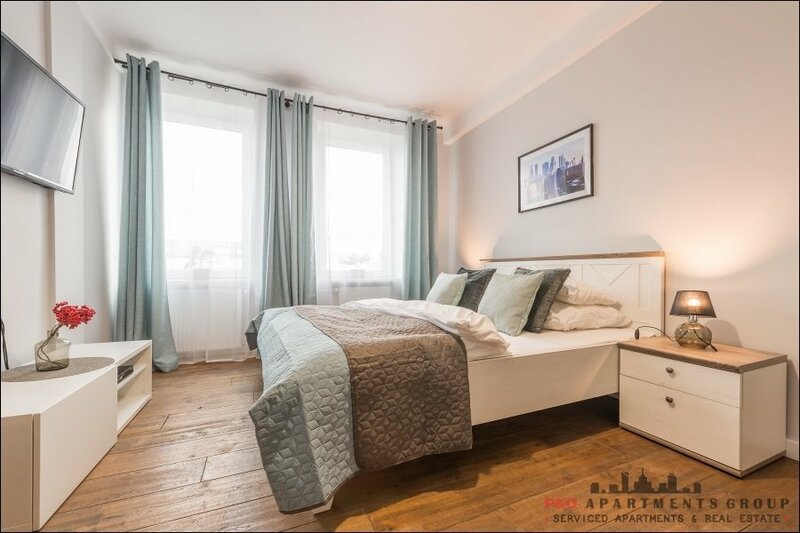 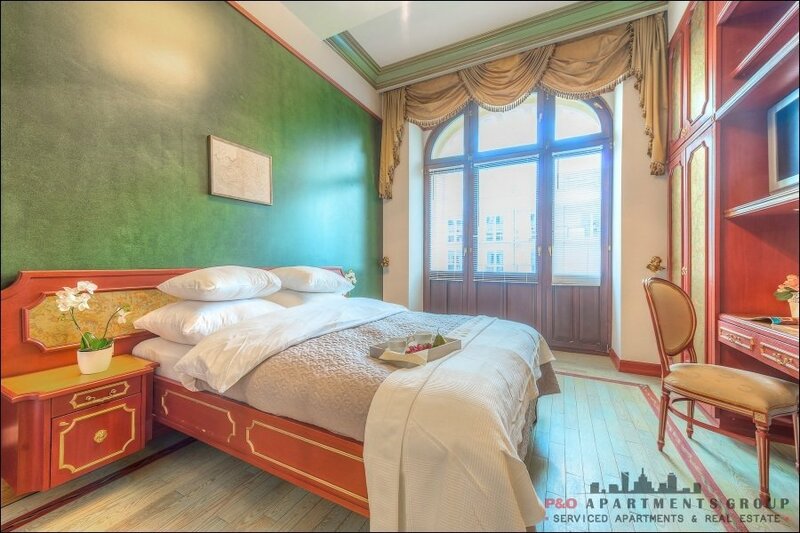 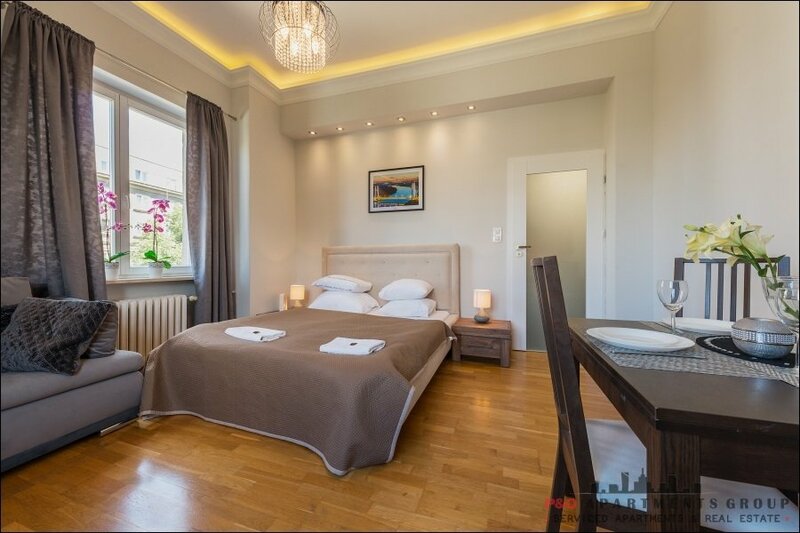 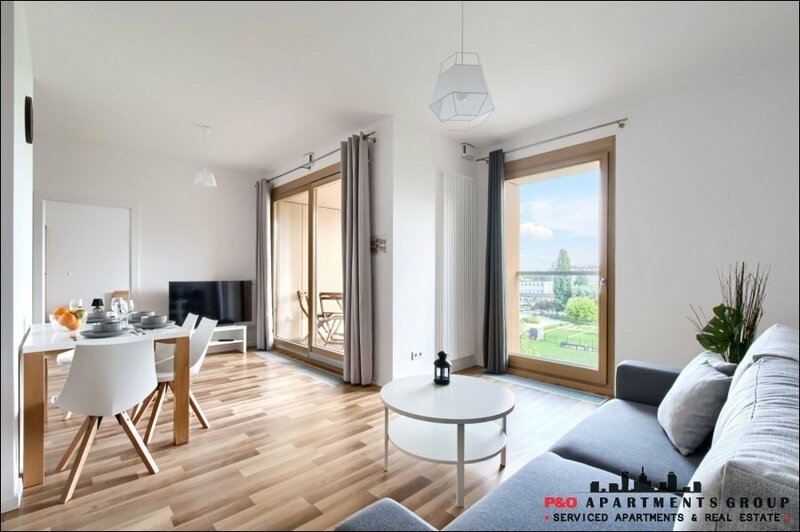 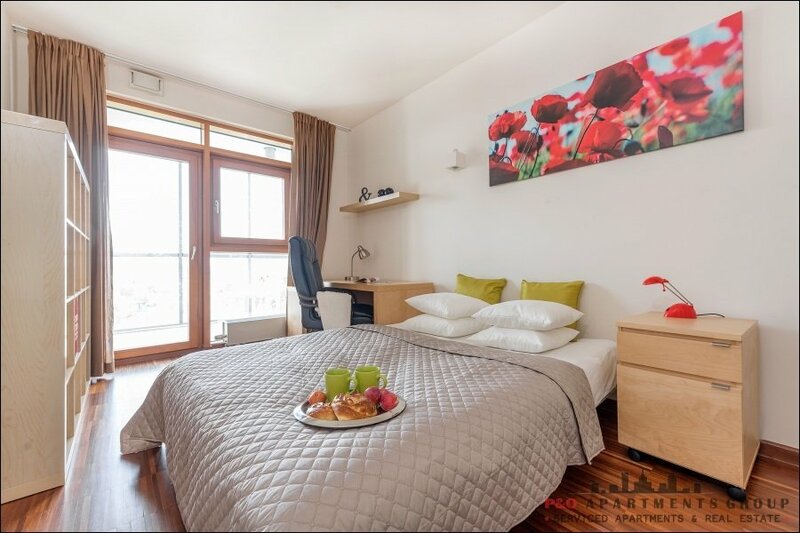 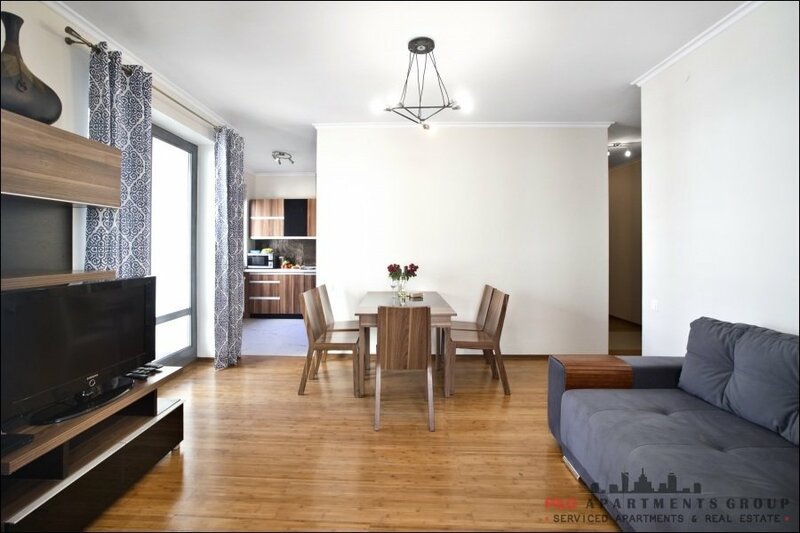 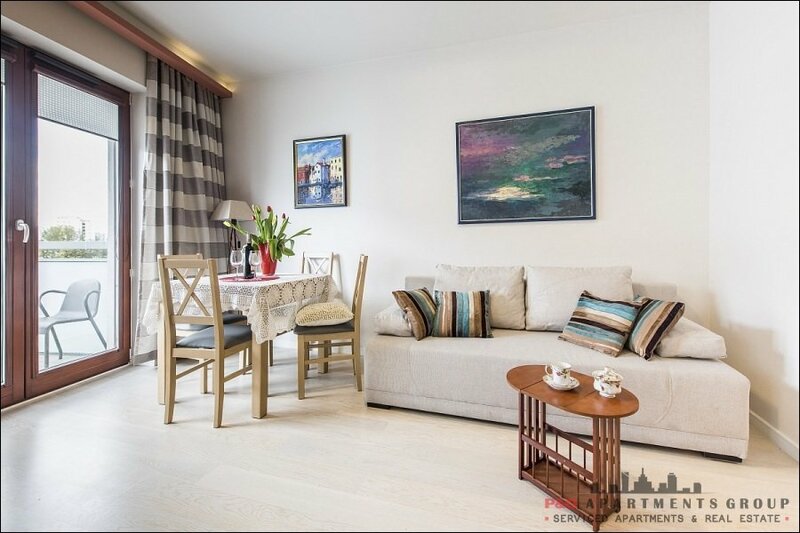 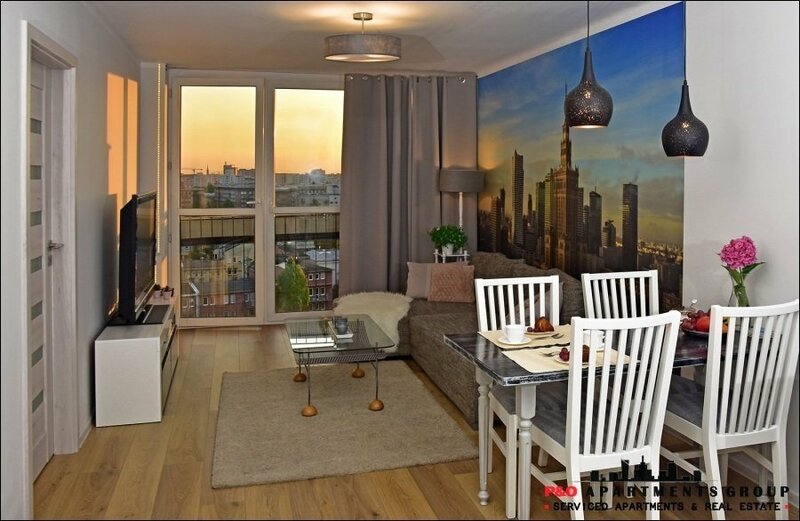 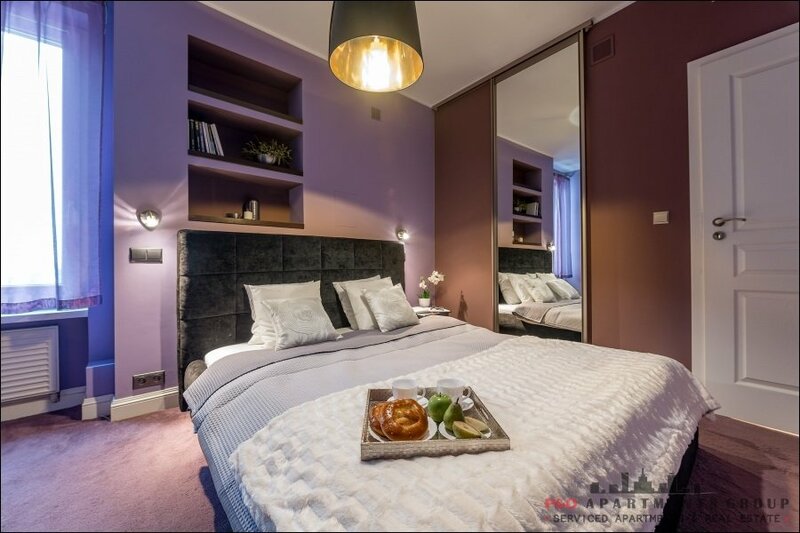 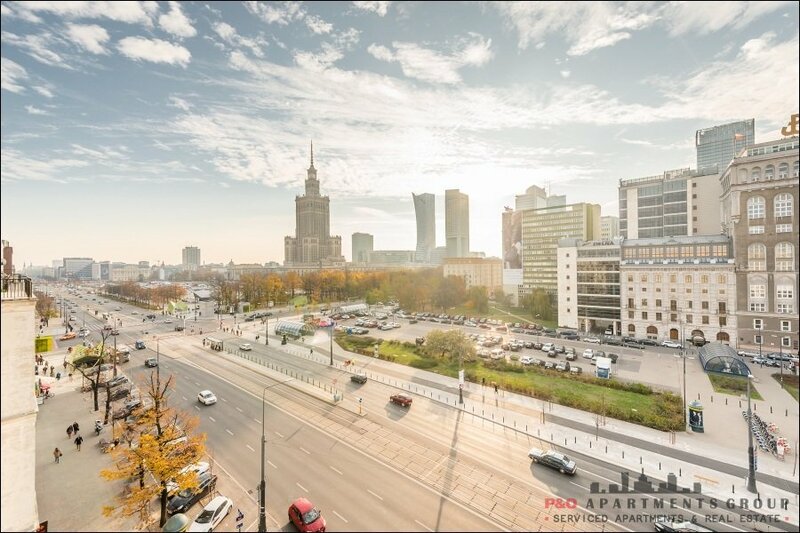 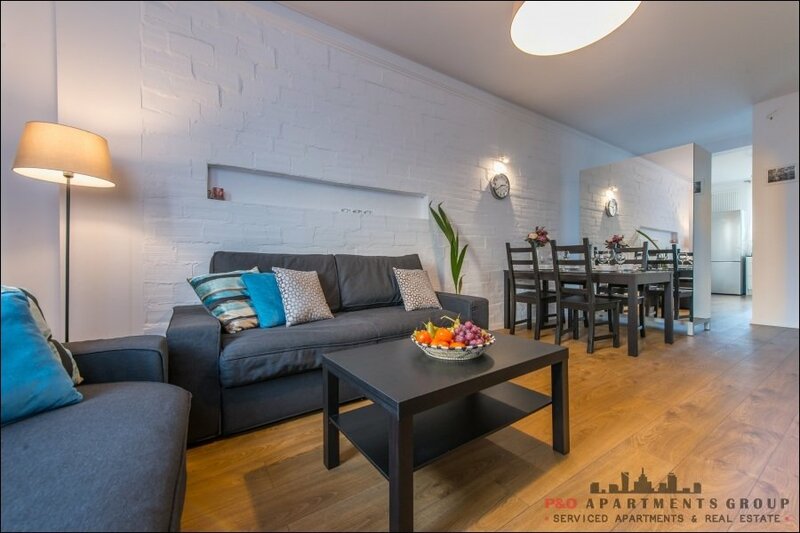 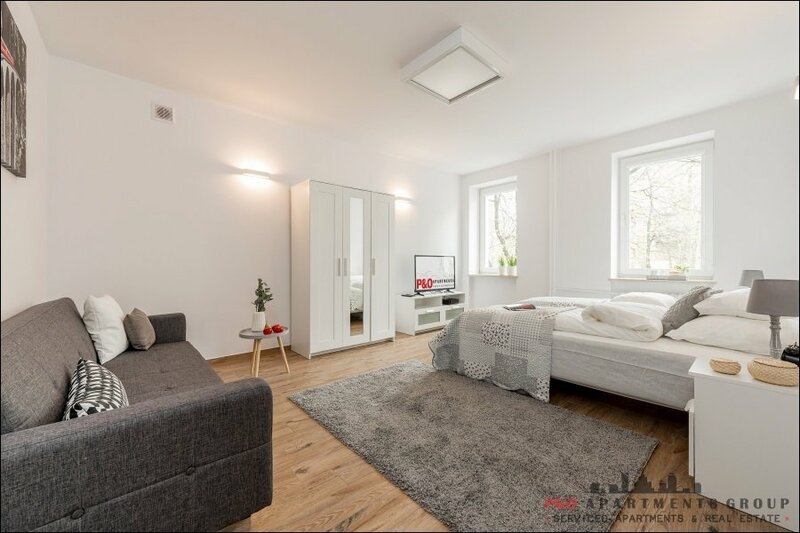 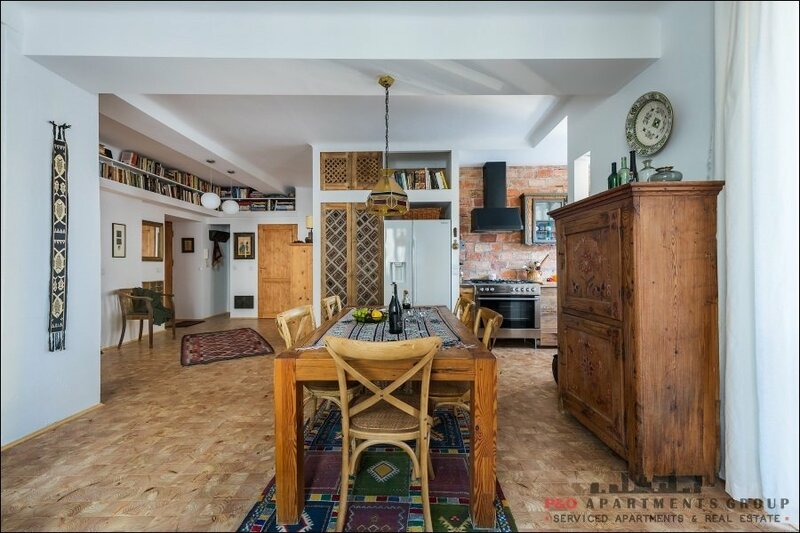 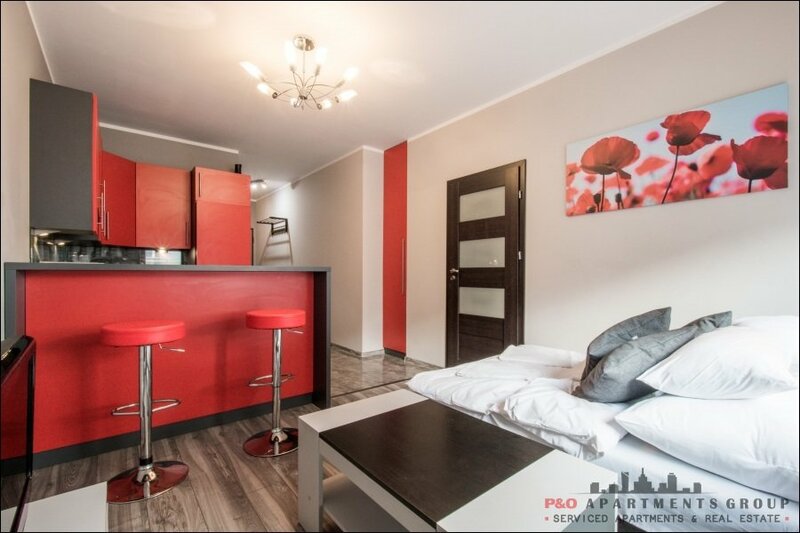 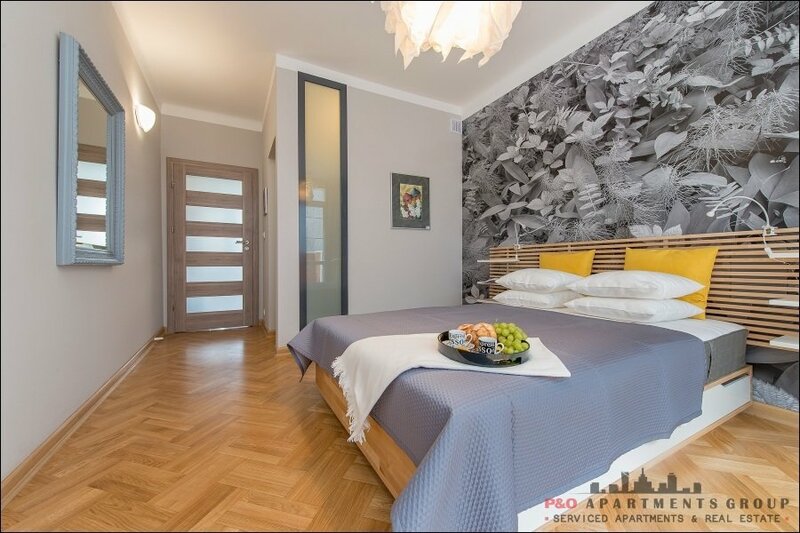 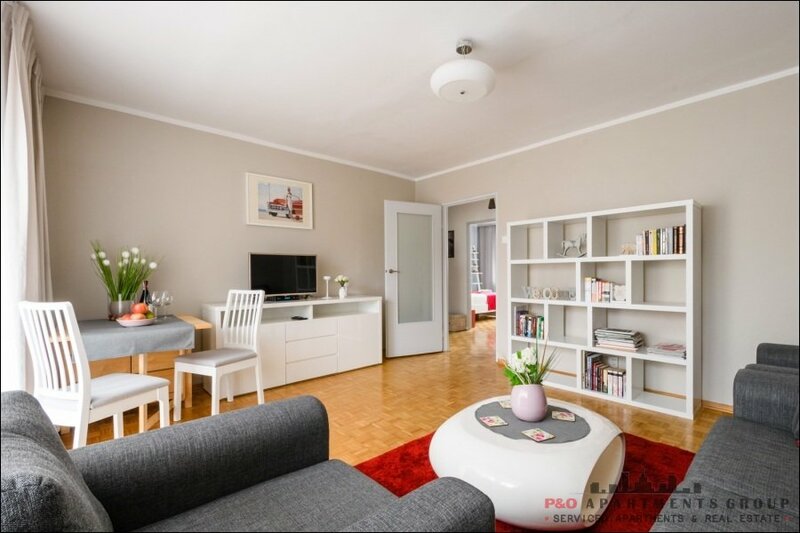 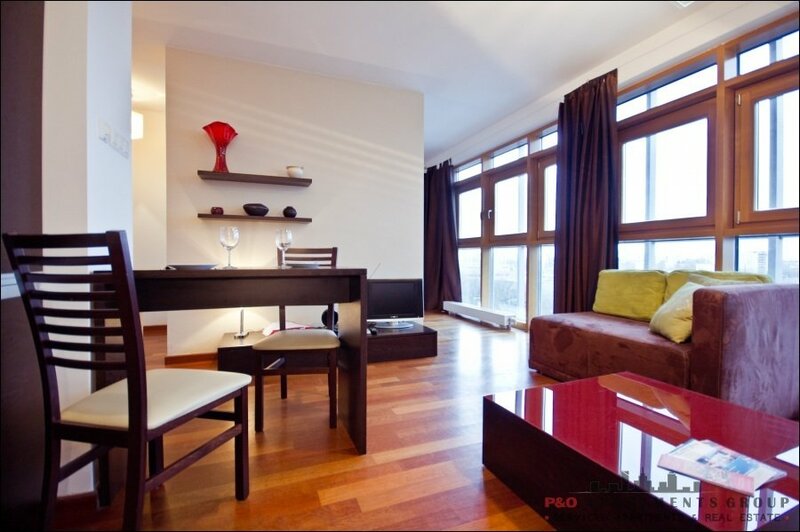 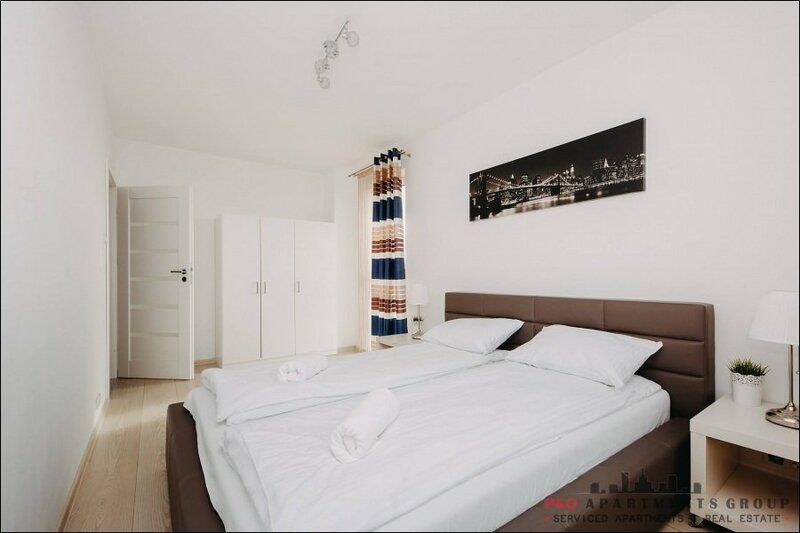 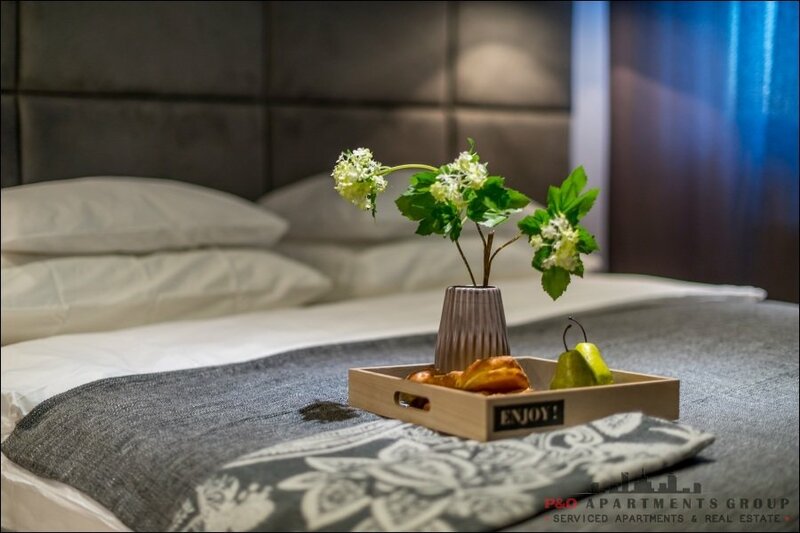 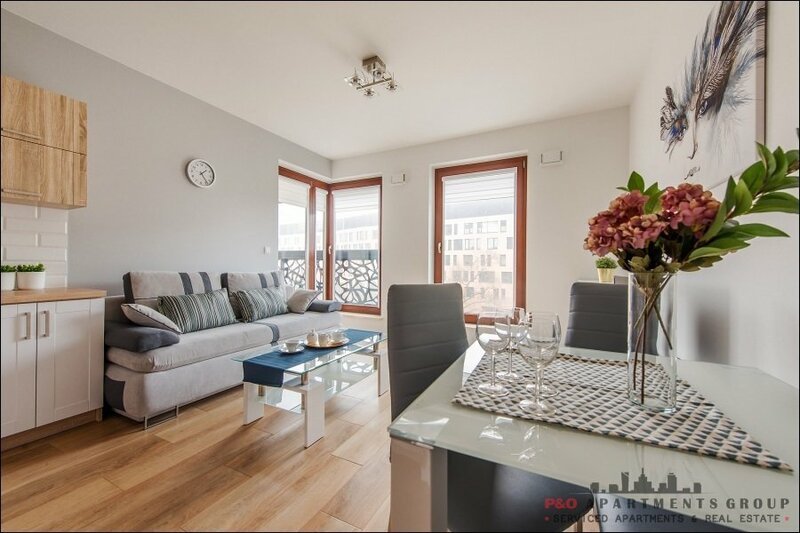 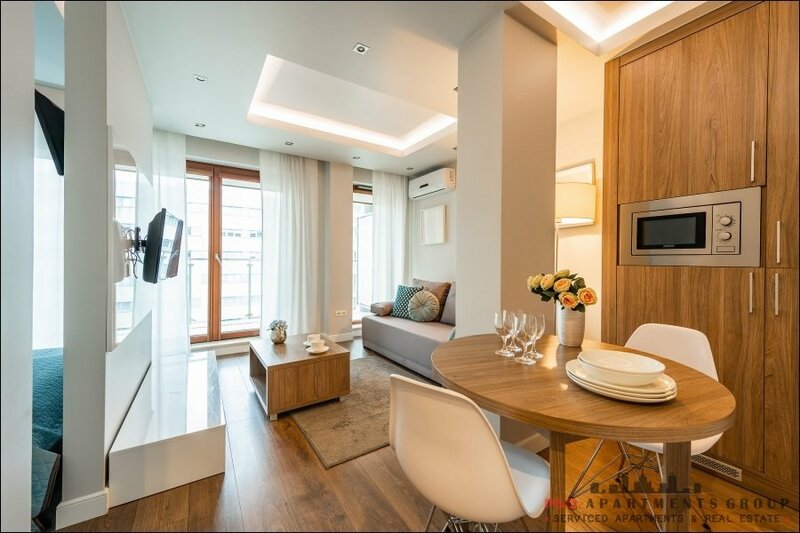 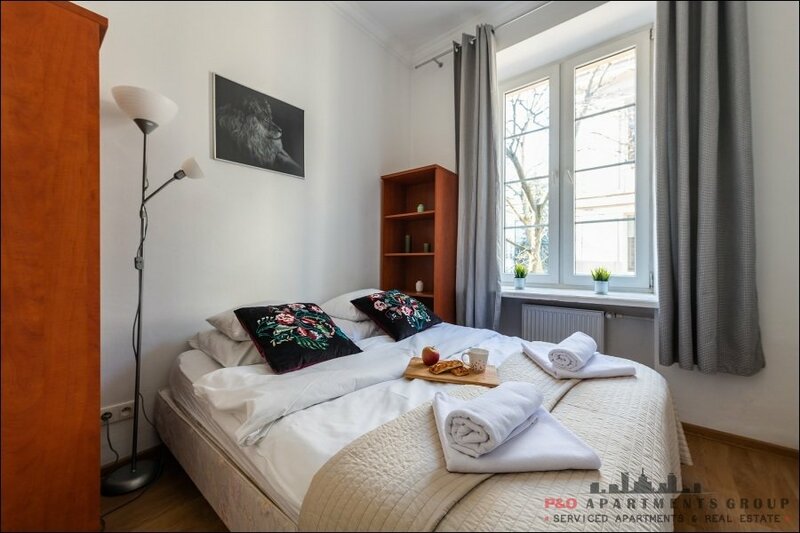 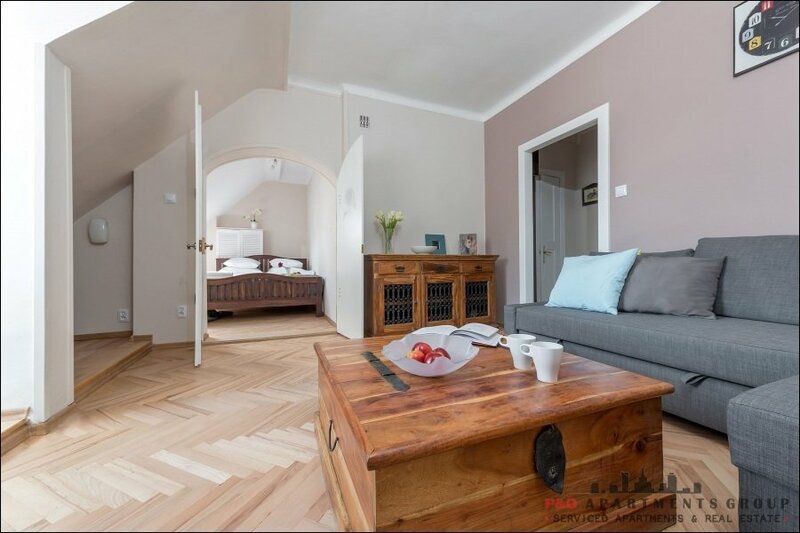 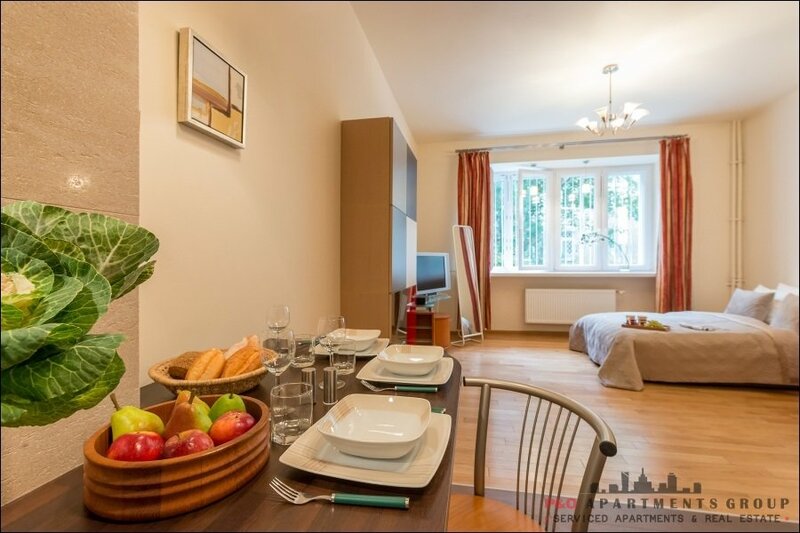 The apartment is located in a dynamically changing part of the Mokotów district, next to the biggest business center of Warsaw, with excellent traffic - numerous bus and tram lines, close to the metro station Wilanowska Służew and stops and SKM. 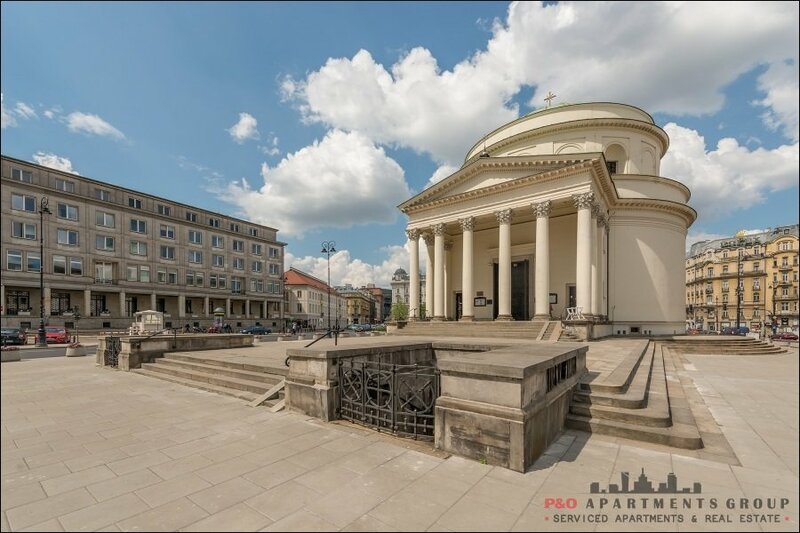 Nearby are the service centers, shops, offices, kindergartens, schools, and Galeria Mokotów, as well as numerous bike paths, parks, green areas and leisure facilities. 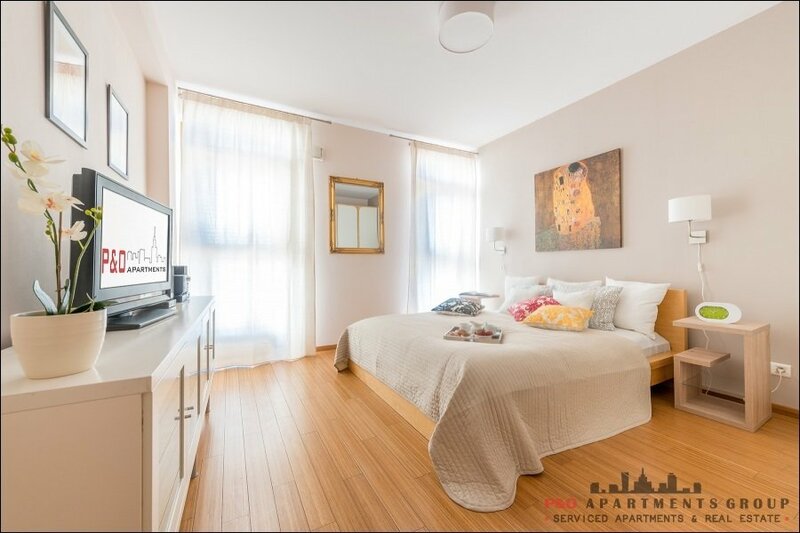 And Internet wi-fi, cable TV, iron, ironing board, clothes dryer, vacuum cleaner, set of cookware and cutlery, washing machine in the closet, air conditioner. 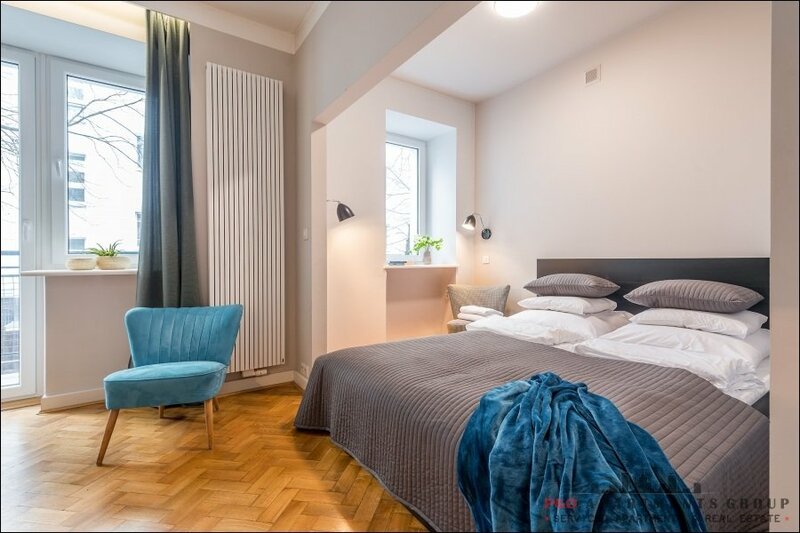 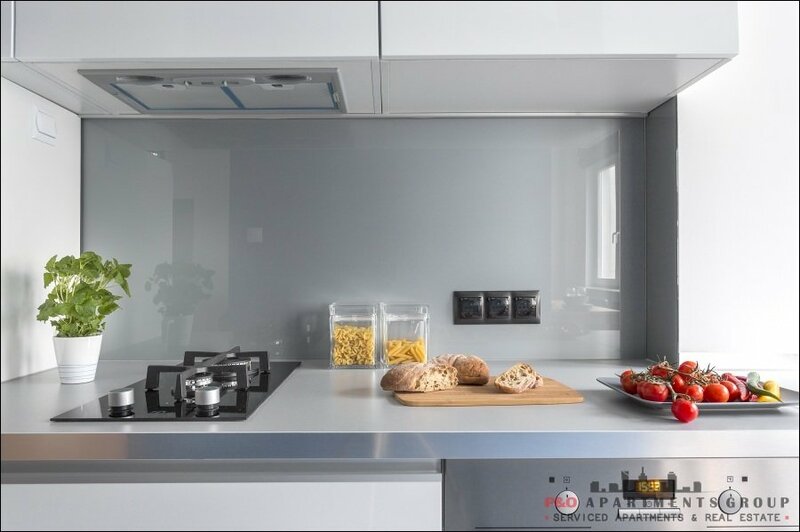 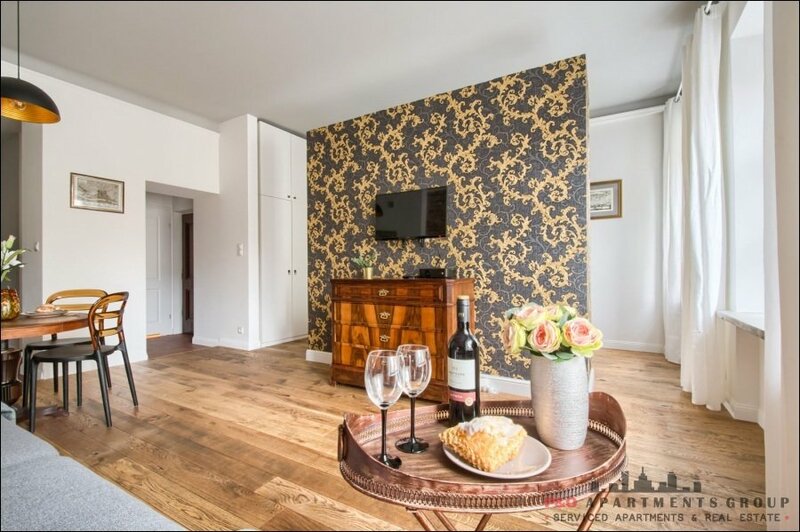 Noclegi w Warszawie - Apartamenty i Mieszkania w centrum Warszawy - Wynajem na dni, tygodnie, miesiące.